around the region are also fairly bright. In this test image Sadr is overexposed. 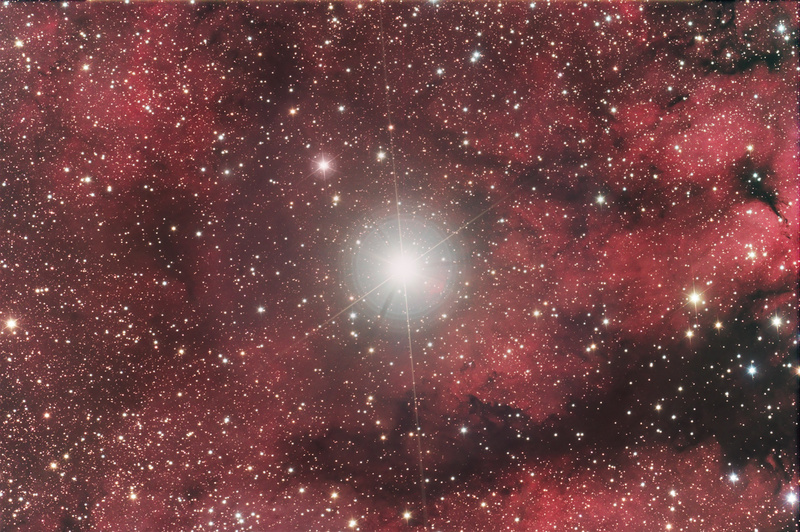 Multiple exposures of different lengths could help to mitigate the unwanted reflections from this star. The air was incredibly stable, and th tracking was superb. In fact we have round stars all over the frame, an exception during those days.